Pallavi Vikamsey's parents had lodged a missing persons complaint at the MRA Marg police station. Mumbai: A budding lawyer, Pallavi Vikamsey, 20, has died after falling off a local train at Currey Road station on Wednesday evening. Pallavi is the daughter of Nilesh Vikamsey, the president of the Institute of Chartered Accountants of India (ICAI). According to social media posts, the family was worried when she did not reach home on Wednesday evening. She was last seen entering a slow train from platform number 5 of CSMT around 6 pm on October 4. She was on her way home from work when the fatal incident occurred. According to sources, on Wednesday, Pallavi boarded a slow train around 6.05 pm from CSMT to Dombivli. When the train crossed Currey Road station, she is said to have fallen from it, after which a CSMT-bound local ran over her. Sources added that when this incident occurred, a woman travelling in an adjacent compartment called the RPF control room and informed them about the incident. Around 6.30 pm, the Currey Road stationmaster told the Government Railway Police (GRP) officials that the body of a woman cut into two was found on the tracks. Following this, GRP officials reached the spot at 6.40 pm and took the body to KEM hospital, where doctors declared her dead before admission. Samadhan Pawar, deputy commissioner of police, GRP said, "We got information about the body of a woman on the tracks around 6.30 pm between Currey Road and Parel on Wednesday. So, we registered an accidental death report regarding it at the Dadar GRP police station. Today [Thursday], her relatives confirmed her as Pallavi Vikamsey. We handed her body over to them after the post mortem. Investigation is going on." Pallavi's parents had lodged a missing persons complaint at the MRA Marg police station. The same day, GRP registered an ADR at the Dadar GRP station and began efforts to identify her. Sources said that cops told several other police stations about Pallavi going missing, which they later shared to more stations. On Thursday, around 3 pm, Pallavi's family reached the Dadar GRP station with MRA Marg police officials and identified her body. The post-mortem was conducted soon after, and Pallavi's body was handed over to her family around 5 pm. 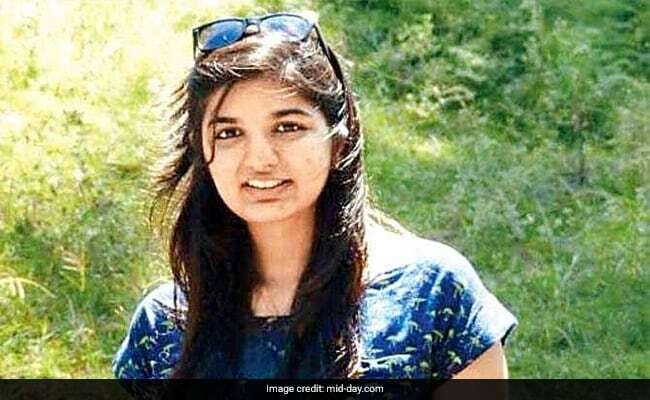 GRP sources said they have recorded her father and brother's statements, but the kin have not raised any suspicion about Pallavi's death in them. As per the preliminary inquiry, there seems to be no foul play. Cops will also be recording statements of the motorman of the train and eyewitnesses who were in the local when the accident occurred. They are also scanning CCTVs to understand what happened. Pallavi was an intern at senior advocate Harish Jagtiani's firm Oasis Counsel. Speaking to mid-day, Jagtiani said, "Pallavi left the office at approximately 5.30 or 5.45 pm on Wednesday, October 4. Her parents called sometime later, saying she had not reached home. We informed them that she had left from office. Later that evening, they came to the office and then filed a missing person's complaint with the police. I am stunned that this young woman, a hard worker and a wonderful person, is no more." "We are in a state of shock in the office. She was a very mature and level-headed girl. She was interning with us since three months and studying for her law degree at the Pravin Gandhi College of Law (PGCL) in Mumbai. She came from an extremely established family," said Jagtiani.